Originally airing on CBS from 1972 to 1978, The Bob Newhart Show is often cited among the best-loved situation comedies in history, with TV Guide and Time naming it one of the greatest television shows of all time. Get ready to lie back on the couch and laugh with Bob: you’d be crazy not to. Most actors would love to star in one long-running, hit TV show, but Bob Newhart pulled this off twice. In the 1980s, he’d lead Newhart, but before that he headed six seasons of The Bob Newhart Show. All with a character pretty similar to the one Newhart developed as a stand-up in the 1960s! 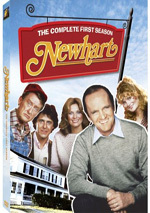 The circumstances of his series varied, but Newhart always played a variant of that buttoned-down personality – and that was fine, as he did the role to perfection. As a child of the Seventies, I enjoyed many a Saturday night with The Bob Newhart Show, so I figured this Complete Series package would be a good way to re-experience the program. 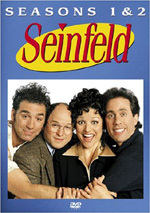 It includes all 142 episodes across its 15 DVDs. In Bob Newhart Show, we meet Bob Hartley (Newhart), a psychologist who lives in Chicago with his wife Emily (Suzanne Pleshette). The show depicts their relationship as well as Bob’s interactions with neighbor Howard Borden (Bill Daily), secretary Carol Kester (Marcia Wallace), and office partner Jerry Robinson DDS (Peter Bonerz). We also get to know some of Bob’s patients, with an emphasis on neurotic, hard-edged Elliott Carlin (Jack Riley); others appear multiple times, but Mr. Carlin shows up about three times as much as anyone else. Over its six years, The Bob Newhart Show stayed with that formula in a consistent manner, so don’t expect a whole lot of character change/development across that time. That’s probably a good thing, as I’m glad the series didn’t resort to gimmicks. That means Bob and Emily never had a kid. This seems surprising given that so many family-based sitcoms introduce children along the way, and the series pilot sets up that possibility. In the opener, Bob and Emily try to adopt and discuss an interest in offspring, but this never occurs. Which is probably good, as “family sitcoms” tend to work best when the children exist at the start. Usually the addition of a new kid occurs as a desperation move to shake up the stagnant situations, and it tends to flop. I’m happy Bob Newhart never went down this path. Not that it remained stagnant over its six years. As noted, we got a broad mix of Bob’s patients along the way; even the popular Mr. Carlin only popped up for 56 of the series’ 142 shows. That allowed the therapy scenes to maintain greater freshness, as we didn’t view the same people every time, and that changing roster gave the show a sense of variety many sitcoms lack. Other cast changes occurred along the way, though not all succeeded. Though introduced in Season Two, Bob’s sister Ellen (Patricia Finley) became a major running character through much of Season Three due to her ongoing romance with Howard. Ellen essentially got abandoned unceremoniously in Season Four, however, and I think that was a good choice. I never felt Ellen meshed with the rest of the characters, and Howard works best as a solo act. Despite various life changes like Carol’s marriage and Jerry’s retirement, Bob Newhart stayed consistent in terms of story and emphasis, which worked well, largely because all the core cast members were so good. Newhart himself was never a particularly great actor, but he played to his strengths. Newhart developed a certain comedic persona early in his career and never deviated much from that, but he didn’t need to do so; he played that role extremely well. If I recall correctly, I never much cared for Pleshette’s Emily when I watched Bob Newhart in my youth, but now I can’t figure out why. She offers the perfect comedic foil for Bob, as Emily seems bright, sarcastic and a good partner. Much of the show’s charm and wit comes from the bright interplay between Newhart and Pleshette. Of course, a lot of the credit goes to the writers as well. Bob Newhart provides consistently smart material that rarely – if ever – panders or goes for the easy laugh. It maintains a high quality of comedy from start to finish. 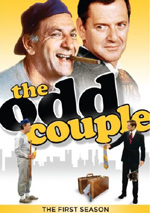 Back in the 1970s, Bob Newhart always seemed like the “odd man out” in the CBS lineup of shows like Mary Tyler Moore, All in the Family and M*A*S*H. It probably still seems that way, as those series remain more famous. Bob Newhart stands tall in that crowd, though, and probably holds up best of the bunch. It was an excellent series that continues to play well in 2014. 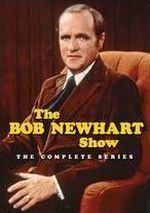 The Bob Newhart Show appears in an aspect ratio of 1.33:1 on these single-sided, dual-layered DVDs. Due to those dimensions, the image has NOT been enhanced for 16X9 televisions. The shows showed their age but remained fairly watchable. Like everything else, sharpness seemed erratic. Some shots looked fairly concise, while others could be vague and soft. In general, the image showed acceptable definition but no better than that. Sporadic examples of shimmering and jaggies occurred, and I saw occasional signs of edge haloes as well. Occasional specks and marks interfered, but these weren’t too heavy. Colors tended to be average, as the shows featured fairly mediocre hues; they weren’t dull but they didn’t offer much pep. Blacks demonstrated decent depth, while shadows offered acceptable smoothness. Surprisingly, the image seemed worst in its later years. While Seasons One through Four had their problems, Seasons Five and Six were the ugliest. They came with flat colors, worse definition, more dirt and a more “digital” feel. The shows were still tolerable, but they went downhill. Don’t expect much from the bland monaural soundtrack of Bob Newhart Show. The audio lacked much range and seemed flat. Music sounded thin and wan, while effects worked about the same way; they could be a bit distorted and display little punch. Speech was intelligible but not much better. The lines showed a little roughness at times and seemed tinny much of the time. Some background pops appeared along the way. Nothing here came across as bad for its age and roots, but the audio remained pretty lifeless. “The Last TV Show” (Season 2): actors Bob Newhart and Jack Riley. “Mister Emily Hartley” (Season 2): Newhart, actor Marcia Wallace and writer/executive producer/series co-creator David Davis. “Blues for Mr. Borden” (Season 2): Newhart. “TS Elliot” (Season 2): Newhart, Wallace and Davis. “The Modernization of Emily” (Season 2): Newhart, Wallace and Davis. “The Battle of the Groups” (Season 3): Newhart and actor Peter Bonerz. “Sorry, Wrong Mother” (Season 3): Newhart and Bonerz. “Tobin’s Back in Town” (Season 3): Newhart and actor Fred Willard. “The Way We Weren’t” (Season 3): Newhart and director James Burrows. “The Ceiling Hits Bob” (Season 3): Newhart. “The Longest Goodbye (Season 4): Newhart, Burrows and actors Suzanne Pleshette and Tom Poston. “Who Is Mr. X?” (Season 4): Newhart and Wallace. “Over the River and Through the Woods” (Season 4): Newhart, Burrows and actor Jack Riley. “My Boy Guillermo” (Season 4): Newhart, Wallace and writer Sy Rosen. “Guaranteed Not to Shrink” (Season 4): Newhart, Burrows, Pleshette and Wallace. Going into these commentaries, I expected them to be spotty and that’s what I got. On the positive side, we find a mix of good anecdotes as well as some insights into the series. It’s also simply fun to hear these folks chat and reminisce. However, the tracks tend to be pretty inconsistent and rarely become particularly valuable. If you add up all the good content across all 15 commentaries, you’ll get a fair amount of material, but you need to sit through a lot of banality to get there; we discover maybe 30 to 45 minutes of worthwhile notes in total. Still, as I noted, it can be delightful to hear the participants interact. It’s nice to encounter the reunions involved, and the connections among the speakers add a little life. Unfortunately, the tracks remain tedious much of the time, and we get an awful lot of repetition; you’ll hear some of the same stories three or more times along the way. The commentaries have their charms but lack a ton of merit. After that, we get the 13-minute, 42-second Making of Season 2 that features Davis and Newhart. We hear about the origins of the series, creating a character for Newhart, and a few other aspects of the production. Though brief, the featurette gives us some useful notes. The Making of Season 3 goes for eight minutes, 57 seconds and includes notes from Newhart. He talks about changes for Season Three as well as guest stars. This becomes an enjoyable but insubstantial piece. For Season Four, we find a featurette called A Second Family. It lasts 11 minutes, 44 seconds and provides info from Newhart, as he chats about a few S4 episodes. Since we got commentaries for those shows, this piece becomes somewhat redundant, but it’s a decent overview. A Season 4 Gag Reel fills four minutes, 50 seconds. It’s a pretty standard mix of goofs and giggles, so don’t expect anything unusual here. Everything else pops up on a new “Bonus Disc”. Shot back in 1972, an Unaired Pilot runs 28 minutes, 13 seconds and comes with some notable differences from the final show/series. For instance, here Jerry Robinson is another psychologist, not a dentist, and there’s no Carol, Howard or Mr. Carlin. It’s a fun alternate to see. Shot in December 2013, Group Therapy takes up 46 minutes, 12 seconds with a panel chat among Newhart, Bonerz, Riley, director Michael Zinberg and actor Bill Daily. They discuss the series’ origins and development, casting, characters and performances, various experiences over the years and aspects of their careers after the show ended. Expect a fair amount of repetition from the commentaries, mainly because we get so much from Newhart. Daily doesn’t say much, and that becomes a disappointment since he doesn’t appear on any of the commentaries. This still offers an enjoyable chat but it’s not quite as informative as I’d like. From 1991, we find a 46-minute, 32-second 19th Anniversary Special. A reunion program, it brings back the main cast for a new story that picks up right after the famous ending to the 1980s Newhart series. While it’s fun to see the actors back again, the tale on display doesn’t go much of anywhere. It uses the Newhart dream as the framework for a clip show, so expect tons of snippets from the 1970s series. I’m glad the special is here as an archival piece, but it’s not that interesting on its own. Finally, the set provides a 40-Page Booklet. It provides an essay from author Vince Waldron as well as episode details and photos. It becomes a good complement to the set. As a child in the 1970s, I enjoyed The Bob Newhart Show, and the series continues to delight well into the 21st century. Across all six of its seasons, Bob Newhart offered smart comedy and plenty of entertainment. The DVDs give us mediocre picture and audio along with a spotty roster of bonus features. Nothing about the presentation here will dazzle, but the programs remain terrific.